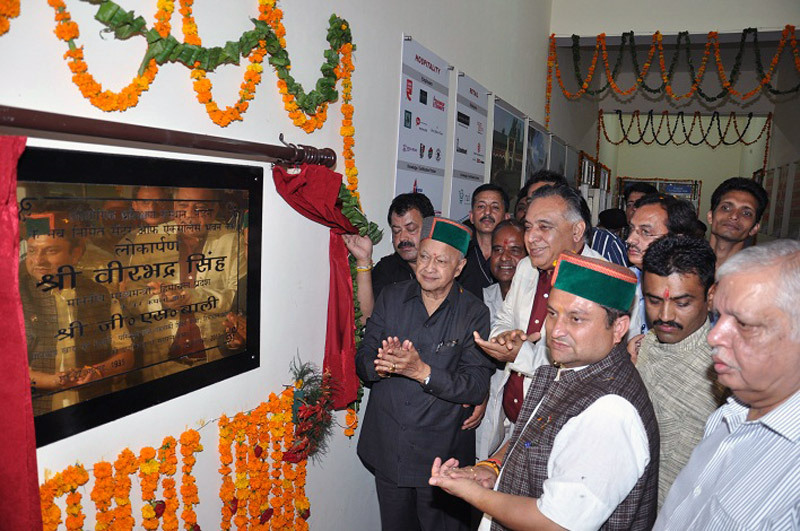 Chief Minister, Virbhadra Singh inaugrating the Centre of Excellence ITI Bulding at Nahan today. Virbhadra Singh said that this was the first Centre of Excellence for skill development in the State which would provide specialized training in hospitality, tourism and catering. He added that Himachal Pradesh had tremendous potential for tourism and government would make all efforts to exploit this sector which would not only help in generating income to the State but also providing employment and self-employment avenues to the educated youth. Stressing the need for technical education, he said that one ITI would be opened in every constituency. He said that Sirmour district had vast potential for development of tourism and government would take steps to expand tourism activities in the district. Technical Education and Transport Minister Shri G.S Bali said that three more Centre of Excellence for skill development would be opened in the State with a view to give impetus to the professional courses. He said that professional training would be provided to 50,000 students in next four years. Nahan ITI had been linked with IL&FS Company which would ensure hundred percent placements to the students. Chief Parliamentary Secretary Shri Vinay Kumar, Deputy Chairman, Planning Board Shri G.R. Musafir, Chairman, HIMFED Shri Ajay Bahadur Singh, former MLAs Shri Harshwardhan Singh Chauhan and Shri Kush Parmar, President, District Congress Committee, Shri Ajay Solanki and General Secretary Shri Anup Thakur DGP Shri Sanjay Kumar, Managing Director SIDC and Information & Public Relations Shri Rajinder Singh, Director Technical Education Shri Vijay Chandan and other senior officers were also present on the occasion.